With this module, every time after customer will make new purchase on your store, you will get sound signal from Prestashop back-office. 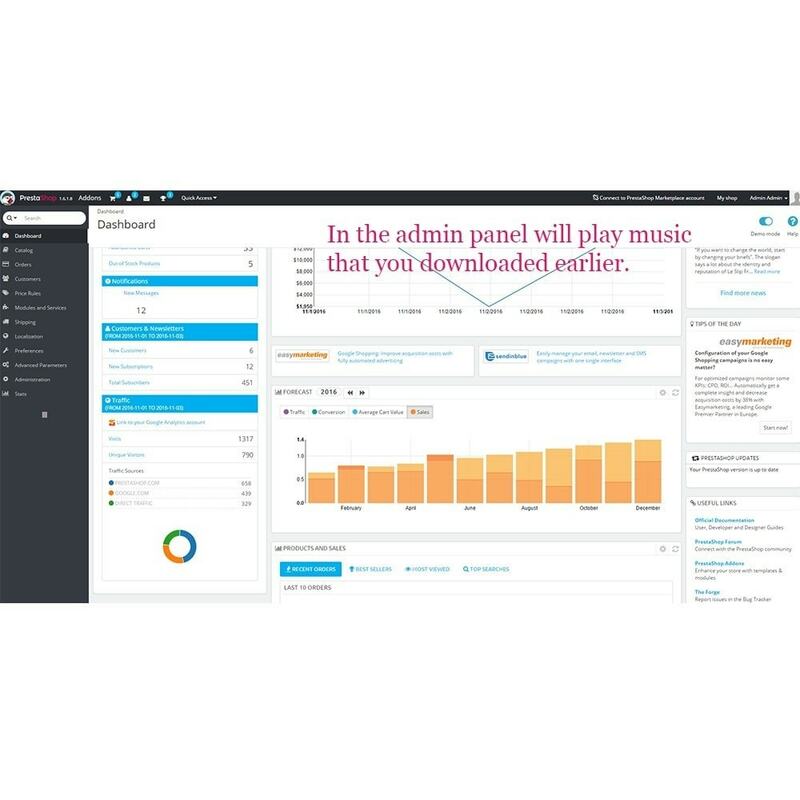 This module lets you to know about purchases on your store with help of sound signal after every purchase even if you busy with other things. Whatever you did. You working , for example, or you have rest time. 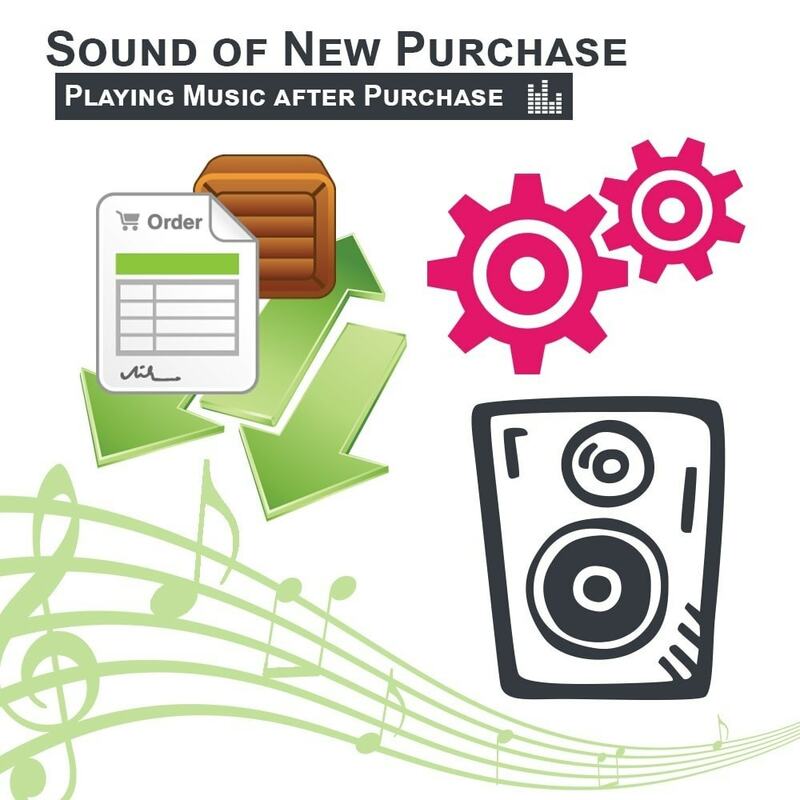 Every time after new purchase you will get sound signal from back office. 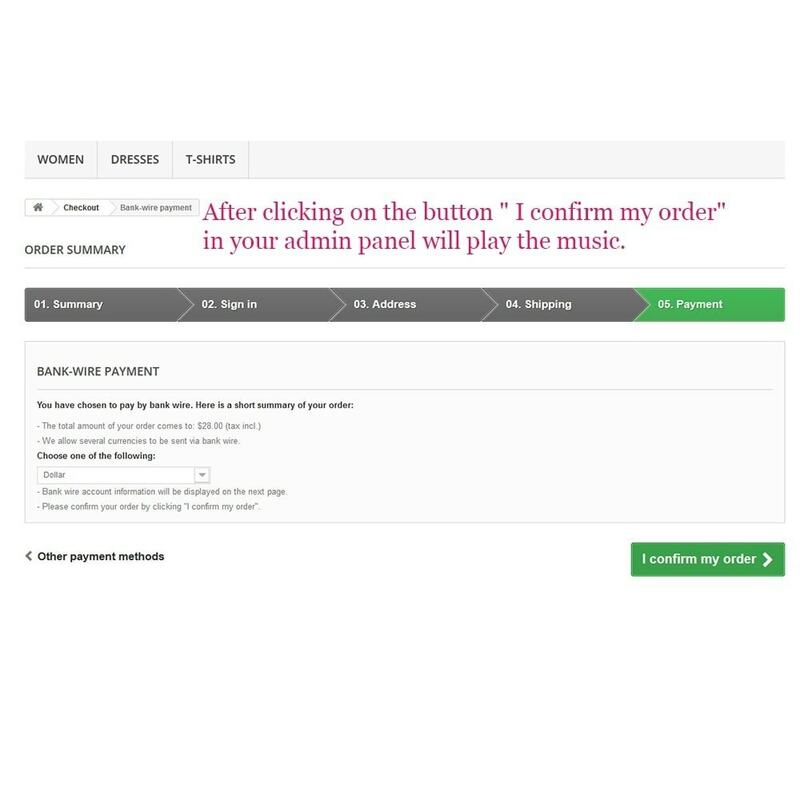 With this module you always can change status of every order for your customers very quick, because you don’t miss moment when product was purchased on your store. It will give users a better customer experience. Also you can choose your favorite song for sound signal and every time after purchase you will get pleasure from earning money and listening your favorite music! Compatibility (IE8+, Firefox, Opera, Safari,Chrome).